The following audio examples were recorded with talented composer and multi-instrumentalist Christian Bolz in his home studio, a carpeted 4x5m room with wood-panelled walls and ceiling. The microphones used were Avantone CK1 small-diaphragm condensers. 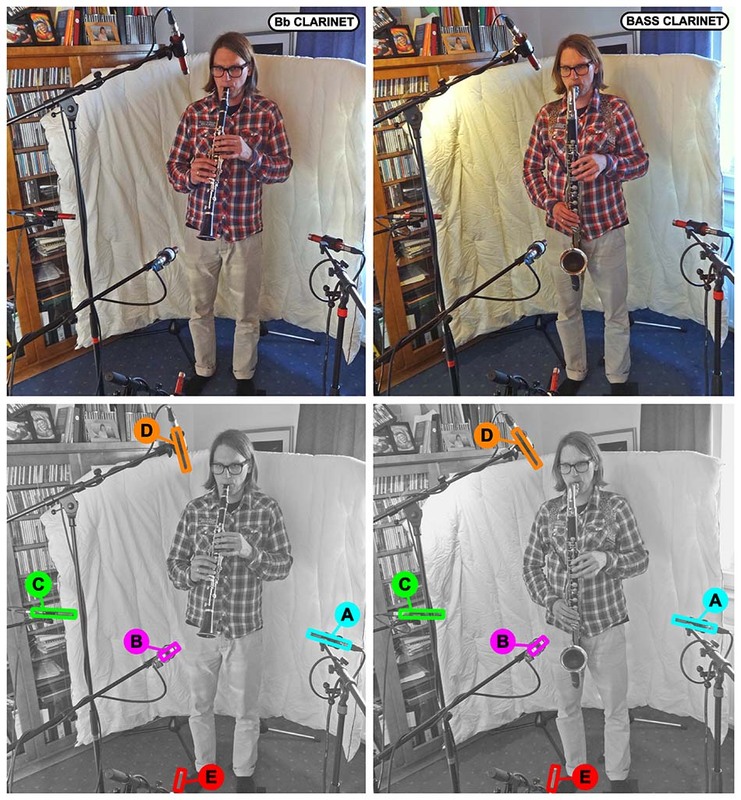 This microphone setup used five Avantone CK1 microphones (with their cardioid capsules) to record the vertical dispersion characteristics of a Bb Clarinet and a Bass Clarinet. Vertical Dispersion On Axis: For these audio examples, all the mics were set up around 20cm from the instrument at different heights. D WAV/MP3 WAV/MP3 At approximately waist height pointing towards the instrument. 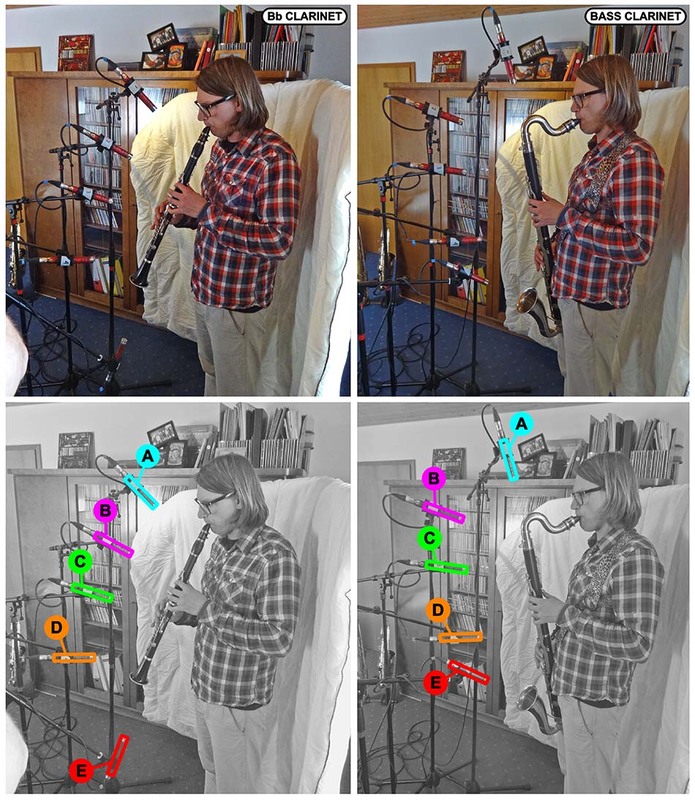 This microphone setup used five Avantone CK1 microphones (with their cardioid capsules) to record the horizontal and vertical dispersion characteristics of the same two clarinets as in Multimic Setup 1. 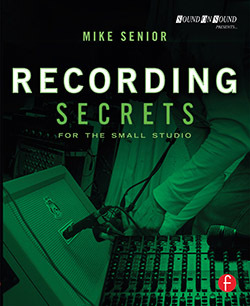 Horizontal & Vertical Dispersion: For this set of audio examples, the microphones were set up in a cross-shaped formation, with all mics pointing inwards towards the instrument from a distance of around 50cm. Mics B, D, and E were on-axis to the instrument; Mic A was around 40 degrees off-axis to the player's left; and Mic A was around 40 degrees off-axis to the player's right.